The star is made from thick brass sheet, and a 2mm faceted marcasite stone is set in the center. The stud measures just about 8mm from side to side and 10mm from corner to corner. 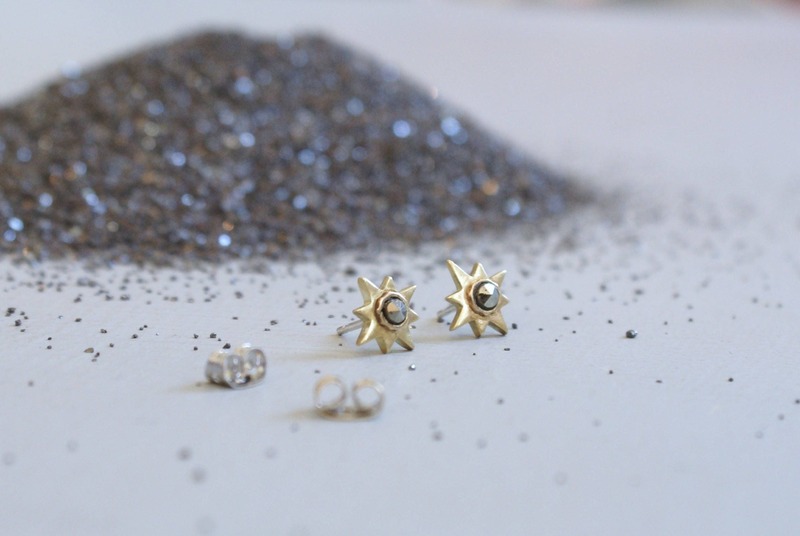 Each has a sterling silver post that is soldered onto the center of the star's backside, and a stainless steel ear nut holds the earring in place.